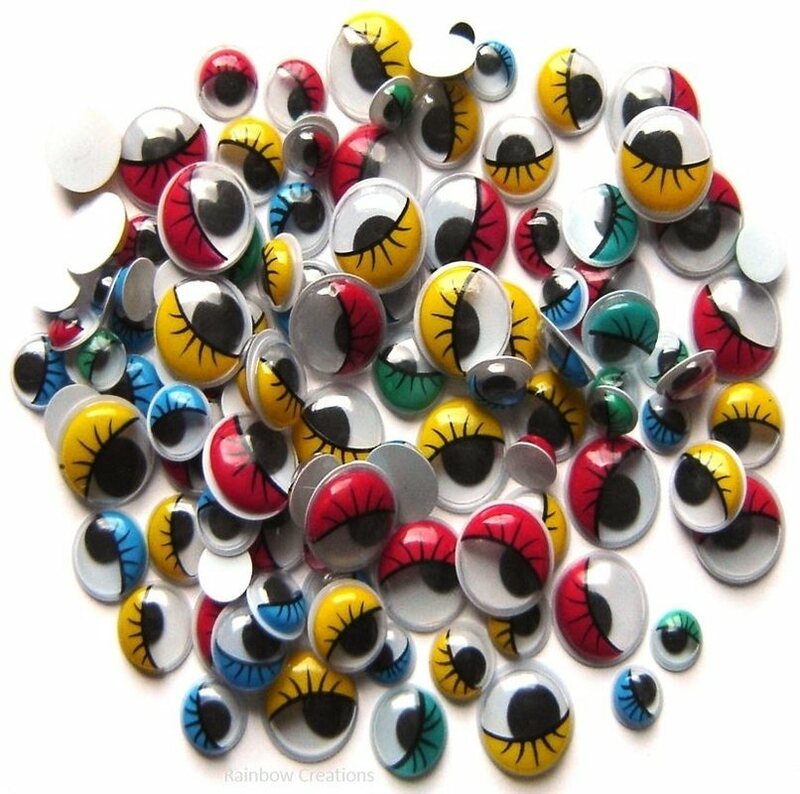 1000 fun paper eyes stickers to give character to models, crafts and cards. 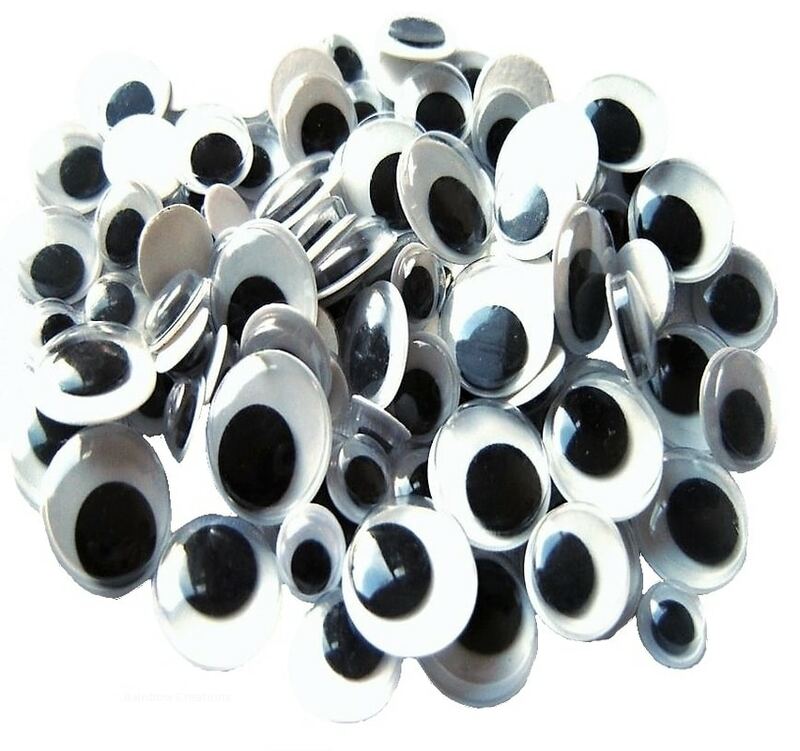 No need for glue, as these eyes are self adhesive. 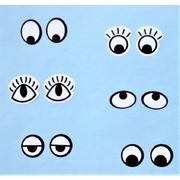 The different sized black pupils enable various expressions. 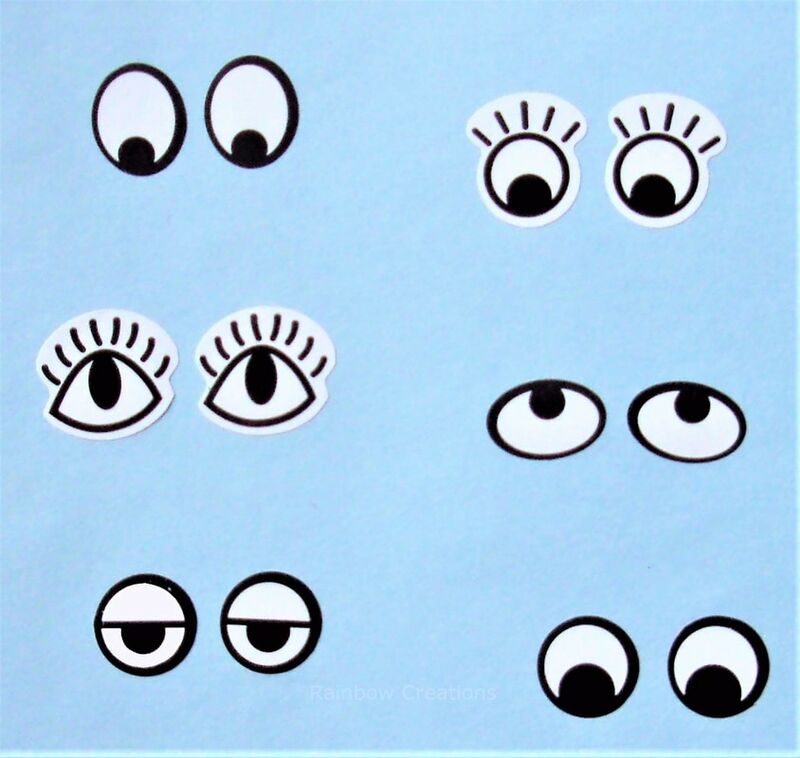 The distance placed between each pair of eyes will produce varied characters and as the pupil does not move, different expressions can be created by turning the direction of the pupil.